Feeling a shopping spree coming on? Podiatry Point specialises in products to assist in all of your podiatry needs. Our specialised products increase the effectiveness and efficiency of diagnosis and treatment of all your podiatry needs, making your experience with Podiatry Point more enjoyable! Visit our premises or check them out online by clicking the links above, to view our range of creams, bandages, inserts, socks, sandals, shoes, custom orthotics and custom orthotic thongs! 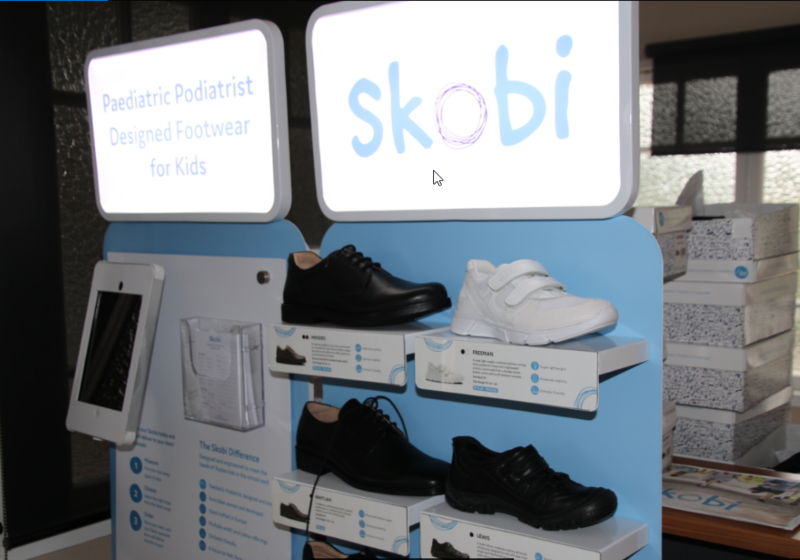 We also have Skobi children’s shoes that were developed by a paediatric podiatrist. Available only from podiatrists these shoes are designed sensitive feet but can tolerate rough and tough wear by children at home or at school. They are lightweight and stylish.